At Outdoor Creations we create gardens of all sizes, from small city gardens to large country spaces! The design choices that impact a garden’s look depend on a variety of factors: the architectural stylings of the home, the amount of sun a garden receives, the desired uses for the garden and a variety of other things. In today’s blog we’ll be looking at different gardens and outdoor spaces and how they’re influenced by their location and other factors. A small courtyard garden in the city. Designed by Mandy Buckland. Landscaped by Outdoor Creations. Find out more in our portfolio. Space is a valuable commodity in cities, especially so in London. Because of this city gardens typically have fairly small gardens, at least when compared to country gardens. 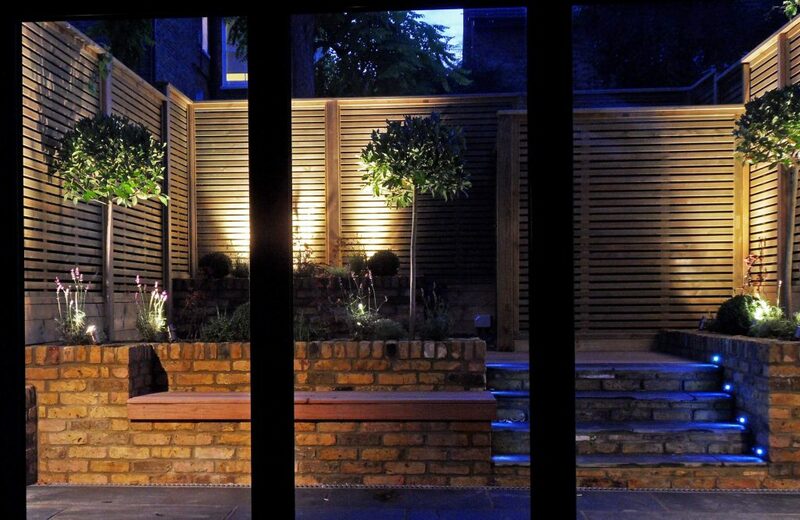 Furthermore, those in the city often don’t have the time to look after a high maintenance garden. These factors mean that city gardens don’t have a lot of grass and need to be fairly compact. Our city gardens often feature paving rather than grass areas and feature plants that don’t need a lot of light or water. just like the example above! We recently posted about traditional country design. This classic styling is popular in large country gardens, it features symmetry, subtle garden features, brick work and large grassy areas. In a country garden we normally have more space to work with, more sunlight due to there being fewer nearby buildings and odds are that the home will have a more traditional styling. This all effects how a garden is designed and created. Perhaps not all Mediterranean gardens are quite this lavish, however water features appear to be a big trend over there. We love the water feature pictured right, with a straight ‘canal’ leading to the end of the area and splitting the garden in two. This creates symmetry, just like some of our UK traditional gardens. We’ve also noticed the popularity of terracotta tiles in Mediterranean gardens. These fit nicely with the off white walls and vivid greenery.